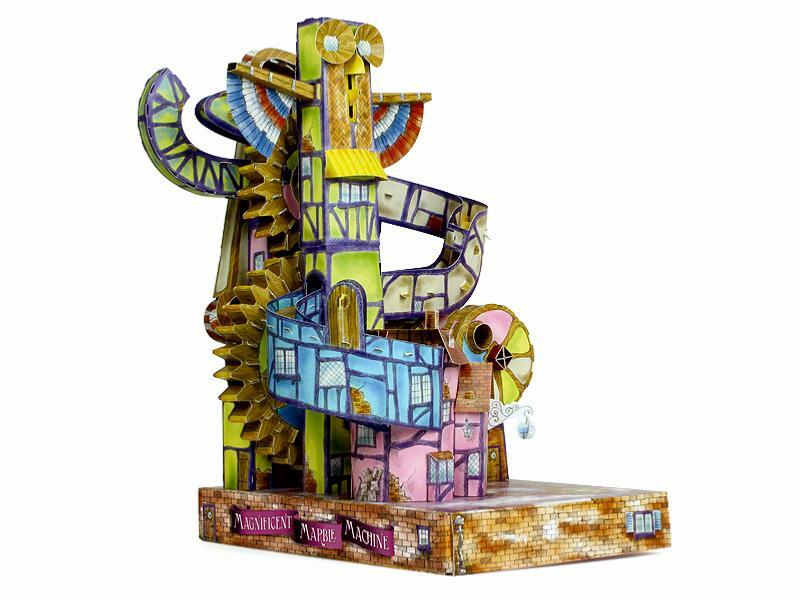 The 'Totally Glueless' Magnificent Marble Machine is an automaton - a moving machine - and a marble run, all in one! The kit comes in a box with everything you need to get it working. Push out the pieces from the frame and slot them together by following the instructional poster - there is even a video which you can watch if you get a bit stuck. Once assembled, turn the handle to watch the marbles roll down the ramp and then ‘magically’ make their way back up again. And as the name 'Totally Glueless' suggests, you do not need any glue at all, in order to construct this automaton. 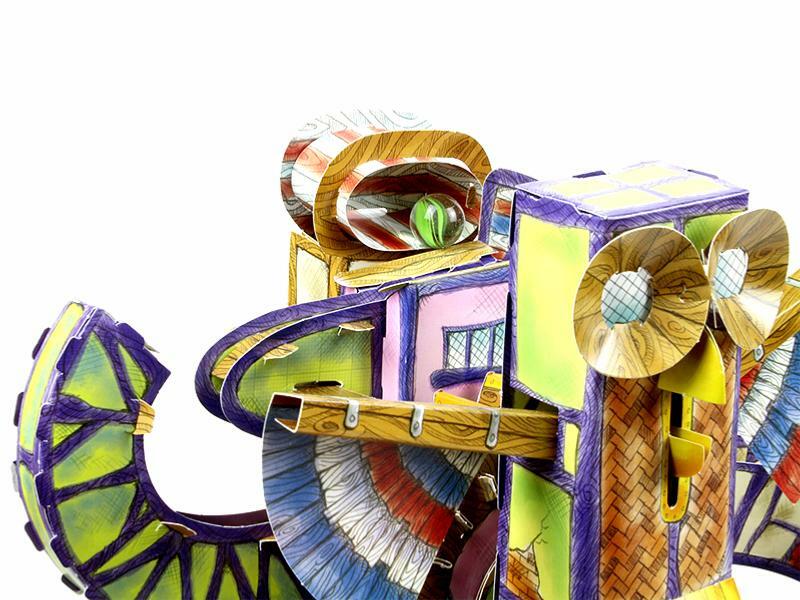 The Marble Machine is made entirely from cardboard so all the waste is completely compostable or recyclable. 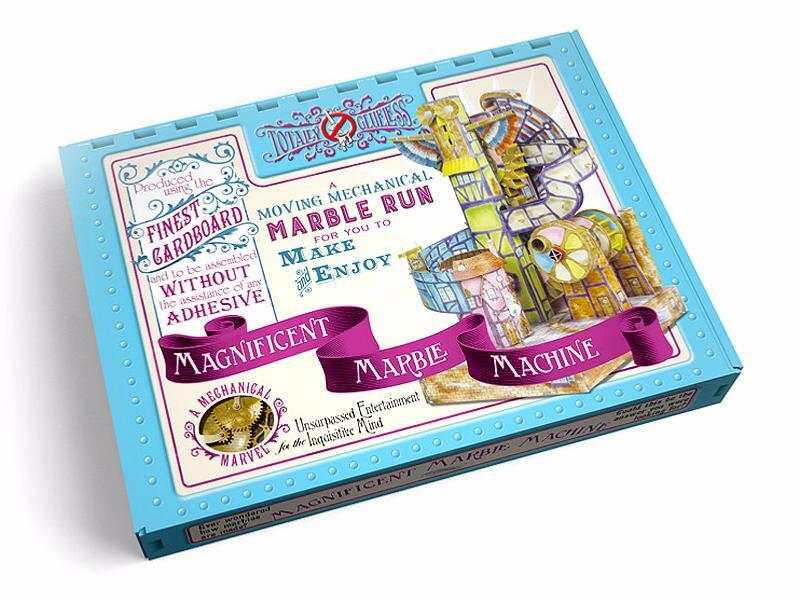 The Magnificent Marble Machine is suitable for adults and children alike although it can be described more as an interactive ornament than a toy. The marble machine will delight anyone but is most suited to people over the age of eight. 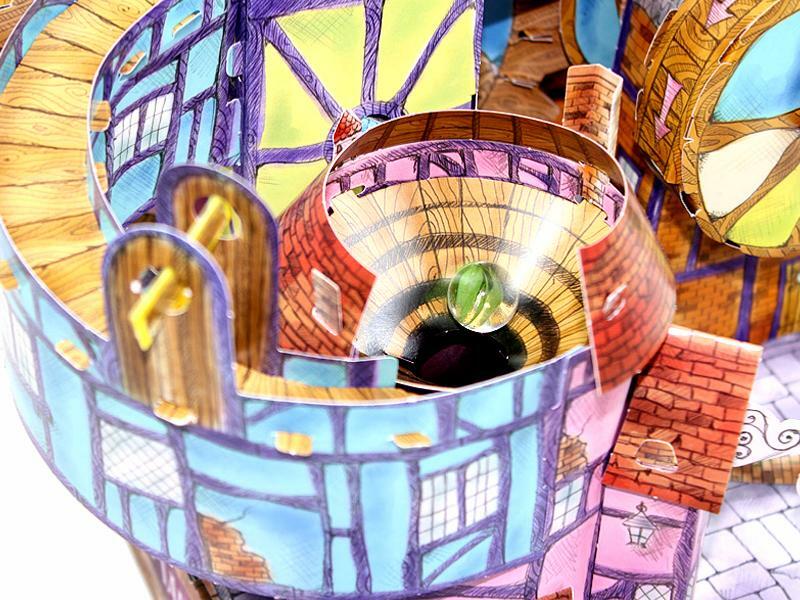 Younger children will certainly love it but may find it difficult to assemble without the help of an older person, making it a fabulous project for the family. The kit includes 4 marbles, which is probably the optimal number of marbles needed by the kit. We have given it a difficulty rating of 4 out of a possible 5.